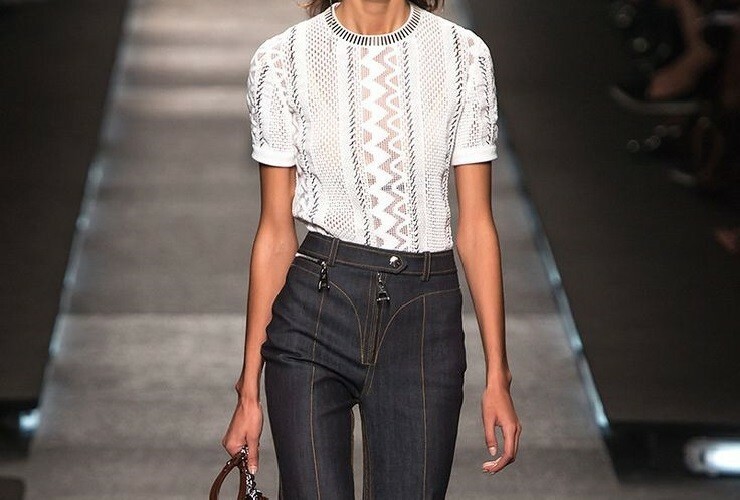 Two of next seasons' hottest trends are button-up white shirts and polished denim. While considering which of the many latest trends I am more likely to adopt — thoughts that I will share with you later this month — I got to thinking how this combination of jeans and a white top has always been a winner; you can never go wrong with it. Whatever shade of jeans you choose—polished, simply dark or light wash blue—and whatever texture—the clean or ripped look—when combined with a white T-shirt, a blouse or a button-up shirt, it is in my opinion always feminine and attractive. It is the outfit that always works as a last minute decision and can easily be upgraded or downgraded according to the occasion. Of course it oozes greater style when matched with a great pair of shoes, a statement bag, a cool jacket or a more formal blazer, but in case of doubt, just start with the basics and then go for the upgrade. See below for the numerous interpretations given to this ensemble and enjoy the inspiration. Have a beautiful week.